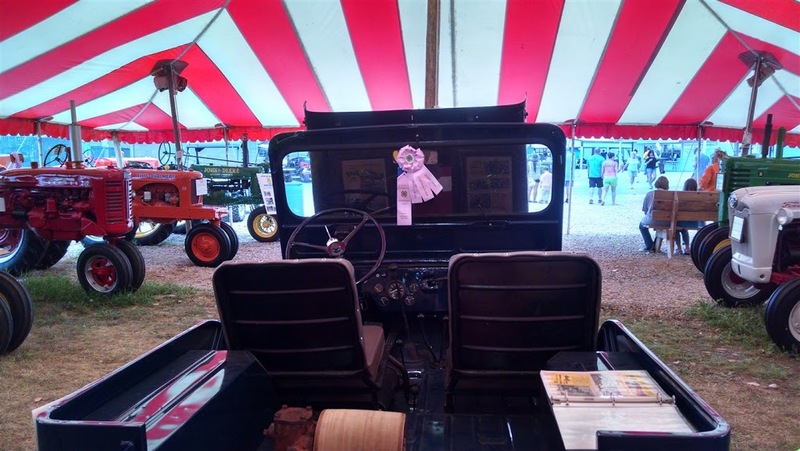 Farm Jeep is at the county fair this week. 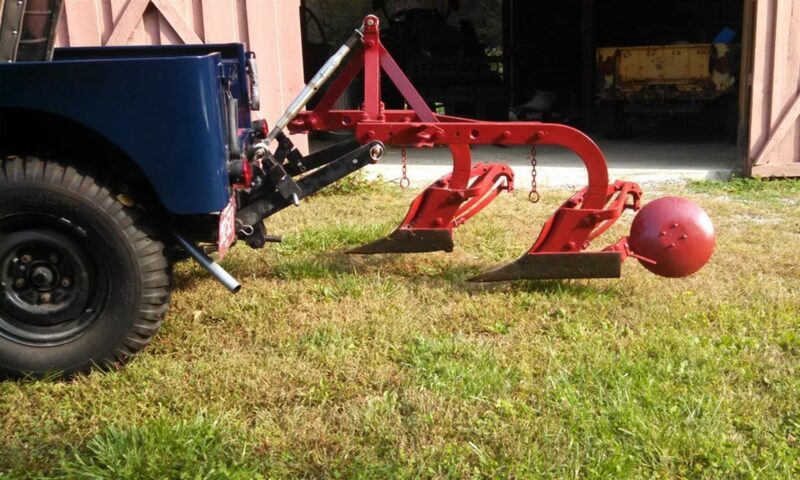 We were at the fair a couple of years ago, but without the plow attached. We were given a blue ribbon for “best in class”. As the only jeep in the tent, we were pretty sure we could repeat that feat. This year has been different. We were given a prime location at the front of the display, in the center of the tent. 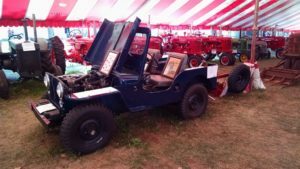 The jeep had been a big draw at its last appearance and the organizers want it to be in a prominent spot. We have the same display we use at tractor shows and visitors receive a brief bit of farm jeep history. The judge for the exhibit was from northern Indiana. He had divided the exhibit in to two classes; general tractors and agricultural machinery. 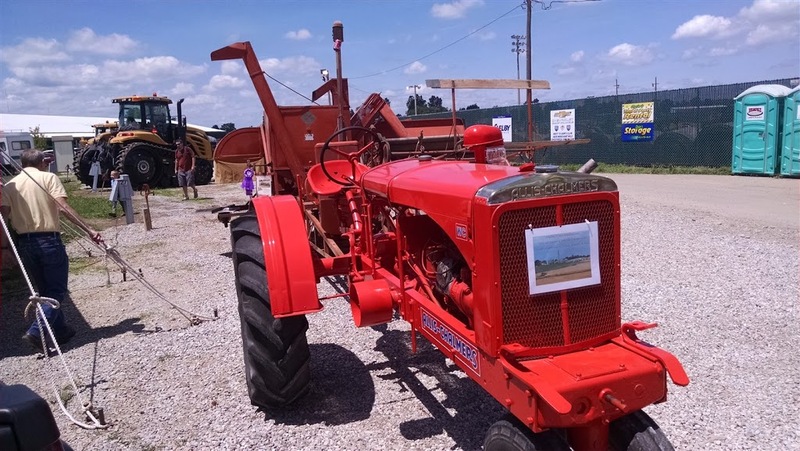 The latter class included self propelled machines and tractors with attachments. With the plow attached. the jeep was included in this class. There were only 5 machines in this class, so our odds were good. Still we enjoyed the recognition. Since we were number 2, we were curious about the winner. 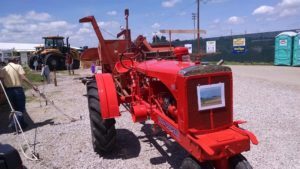 It is a beautifully restored 1938 Allis-Chamlers WC tractor pulling a 1941 grain harvester. 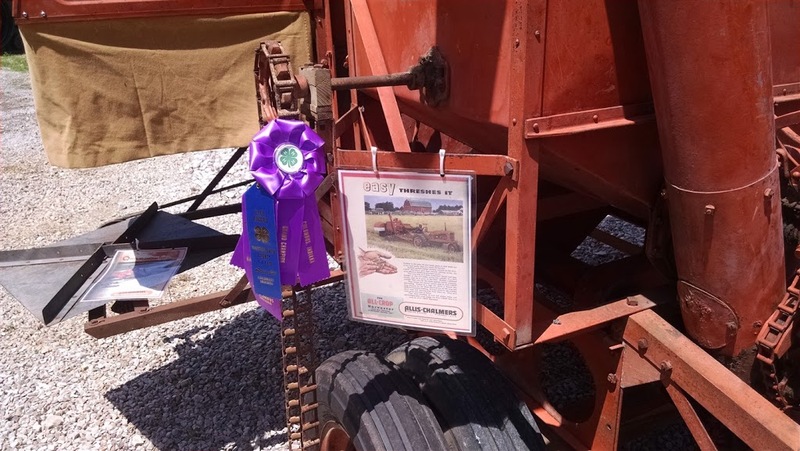 This exhibitor had also provided some history and that is, we are sure, one of the reasons it received the Grand Champion. Congratulations!